Innovative and passionate entrepreneur of new business models and new companies. He is the founder of KRUGER CORPORATION that started from a suitcase and a beeper and today is one of the most recognized technology companies in Ecuador and the region. He has more than 25 years of experience and has developed more than 500 successful projects with his great and committed team of more than 300 professionals across Spain, Ecuador, Peru and United States. His main goal is to enable the fourth industrial revolution and create value for his customers by improving its efficiency, productivity, quality, competitive position and market share. Ernesto works as consultant for the World Bank, Microsoft, UNDP, IDB. Is also founder and President of the Ecuadorian Association of Software, Former Director of ALETI and member of several directories such as Total Quality Corporation, Technological Park of Quito and ANDE. 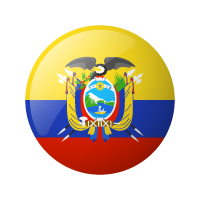 Also is founder and board member of several companies as Ecuacert (information security), Terratelecom (telecommunications), Optically (consulting).